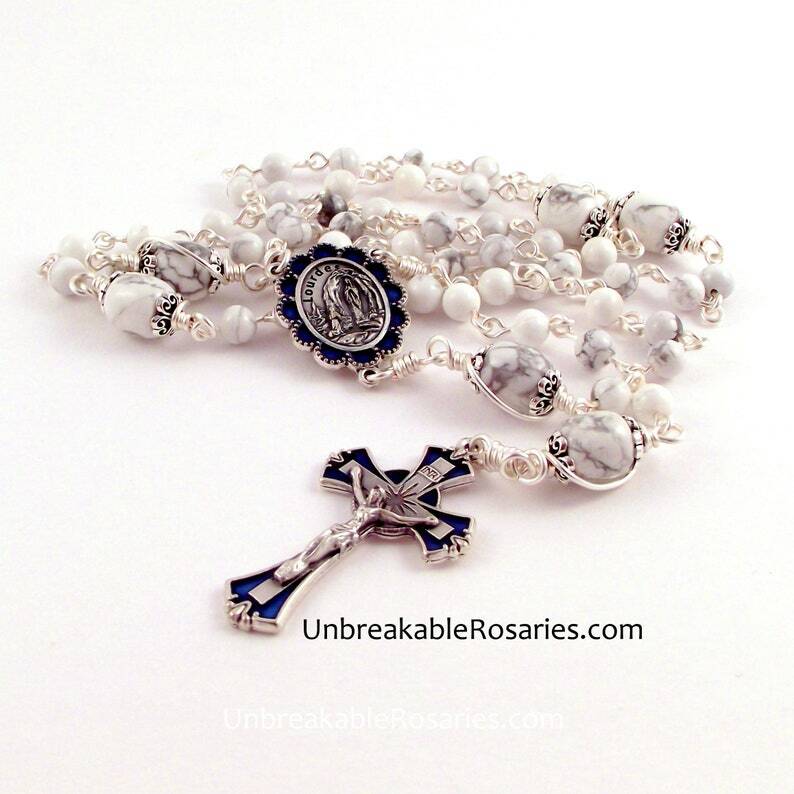 This is a traditional Catholic (Dominican) five-decade rosary. It will last a lifetime. All of my rosaries - should the construction break during normal prayer - may be returned at any time for free repairs. Beads: White magnesite - 6mm round for the Aves and 8x12mm barrels for the Pater beads. White magnesite is known for it's calming properties. It improves creativity, imagination and is believed to bring silence and deep peace to meditation. Crucifix: 1-3/4" Blue enamel crucifix with flared ends. Made in Italy. Center: 1" Our Lady of Lourdes in the grotto with St Bernadette kneeling in prayer. The medal is surrounded by a frame of blue enamel. Made in Italy.